A prominent Florida eye doctor once accused of bribing Democratic Sen. Bob Menendez of New Jersey received a 17-year sentence Thursday for stealing $73 million from Medicare by persuading elderly patients to undergo excruciating tests and treatments they didn't need for diseases they didn't have. Dr. Salomon Melgen was convicted of 67 crimes including health care fraud, submitting false claims and falsifying records in patients' files. Prosecutors showed that between 2008 and 2013, he became the nation's highest-paid Medicare doctor, building his practice by giving elderly patients unnecessary eye injections and laser blasts on their retinas that some compared to torture. Melgen, 63, was ordered to pay $42.6 million in restitution to Medicare and could be ordered to pay more in the future. Melgen has been in custody since his April 28 conviction. 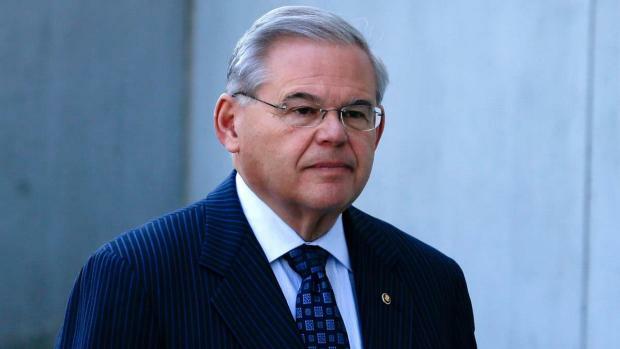 Separately, in November a federal jury in New Jersey hung after a 2 ½-month trial where prosecutors tried to prove Melgen's gifts to Menendez were actually bribes. In return, they said, Menendez interceded with Medicare officials investigating his practice, obtained visas for Melgen's foreign mistresses, and pressured the State Department to intervene in a business dispute he had with the Dominican government. During Melgen's two-month Medicare fraud trial, prosecutors argued that any doctor could make occasional billing mistakes, but Melgen's were too numerous to be honest. For example, Melgen frequently billed Medicare for tests and treatment on the fake eyes of one-eyed patients, as if they were real. The doctor pocketed millions more by splitting single-use vials of an expensive eye drug into four doses - there was enough extra medicine in each - and billing the government separately for each injection, they said. Melgen's attorneys argued that this cost the government no extra money, as Medicare would have purchased four vials if he had followed the instructions. He was soon hosting Democratic fundraisers at his 6,500-square-foot North Palm Beach home, and eventually became friends with Menendez. Melgen paid for trips he and the senator took to France and to the doctor's home at a Dominican resort. Menendez reimbursed Melgen $58,500 after the trips became public knowledge.